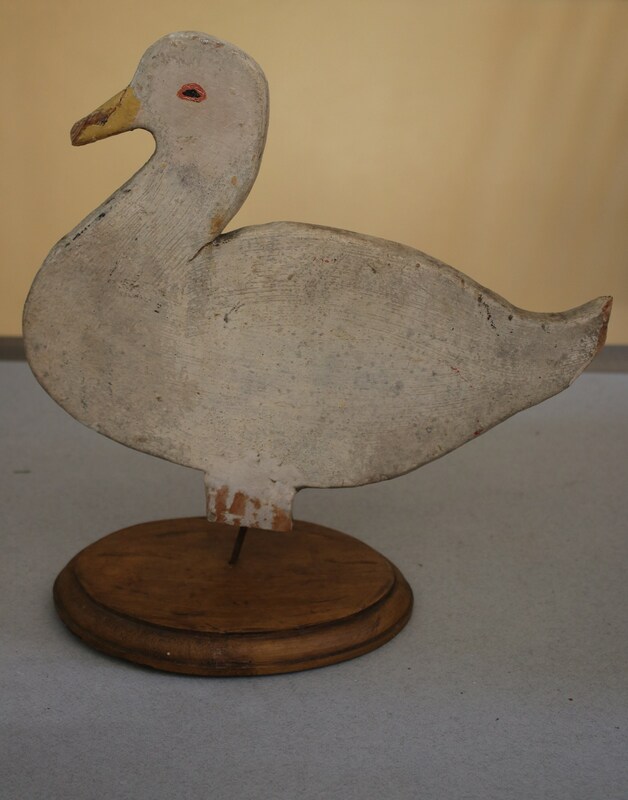 This wooden duck is 10" in height and 11.5" in length from its breast to its tail tip. 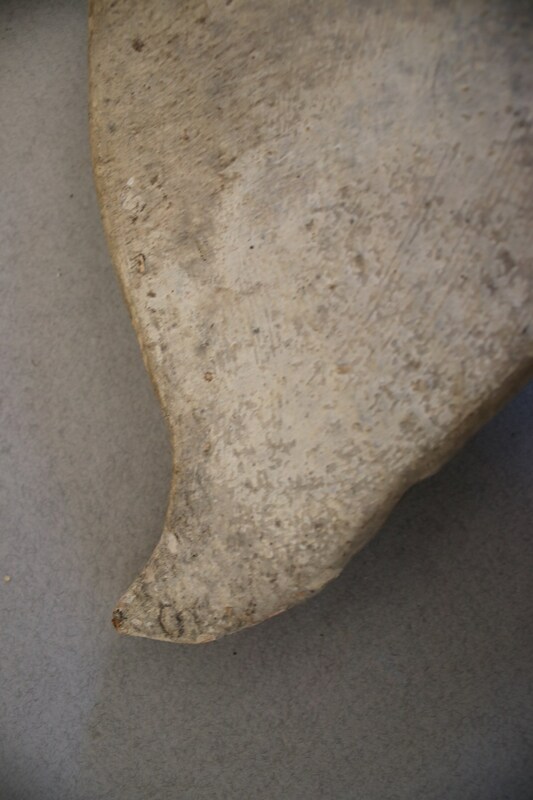 With the base, the piece measures 12.25" in height. 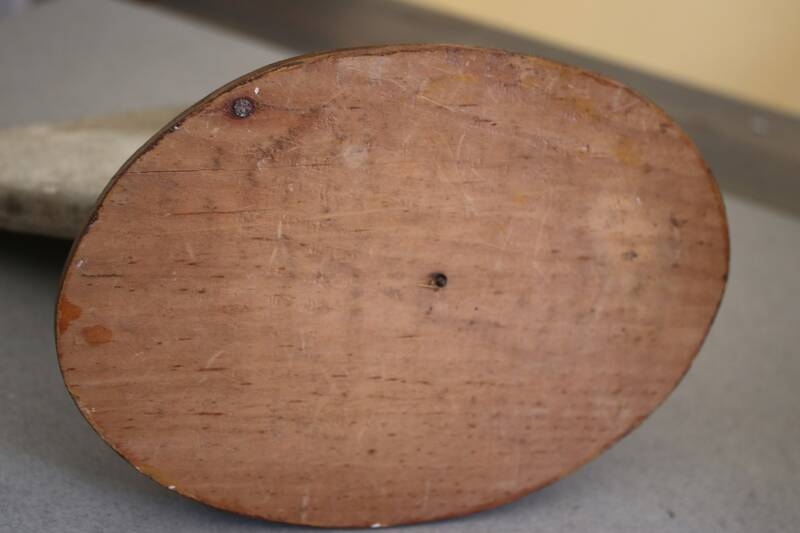 The base alone measures 7.5" x 5.25". 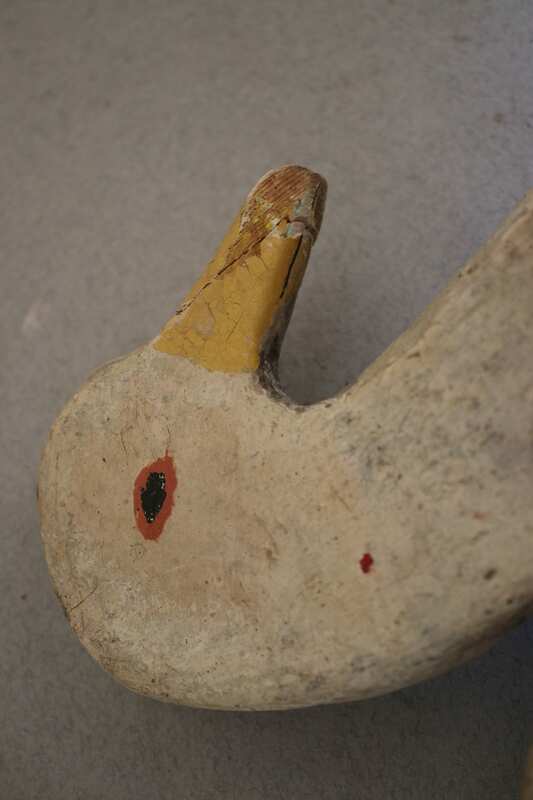 The duck is anchored onto the base with a nail. The nail slides easily out of the base so the duck and base will be wrapped separately to ensure their safe passage. 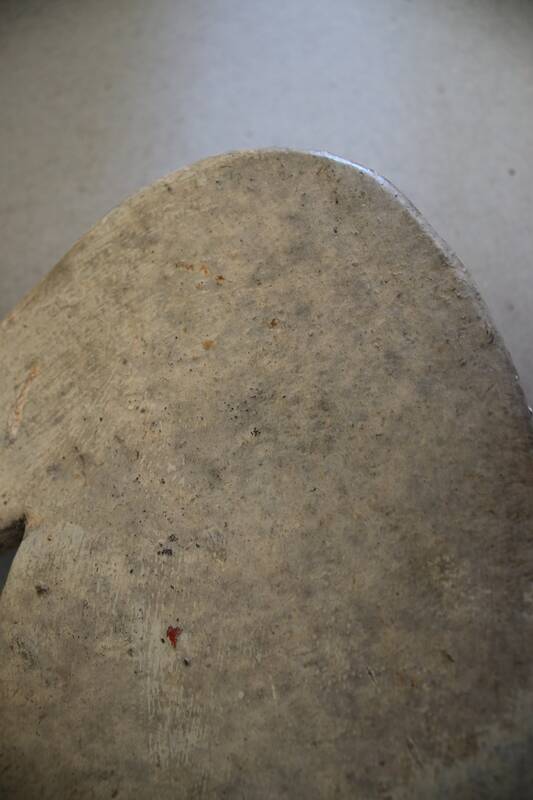 Please note this is a handmade piece of folk art that has age and weathering. 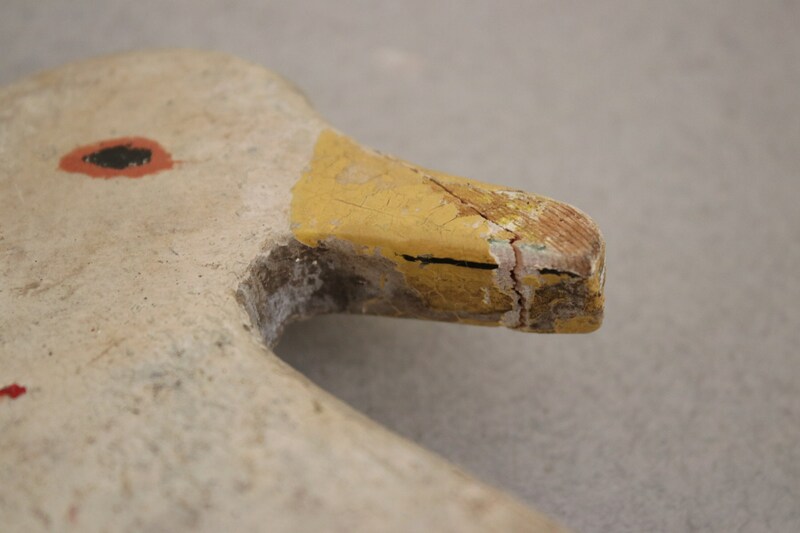 The beak looks to have been broken and mended, as seen in photos three and four. Do let me know if you'd like more photos as I'll be happy to oblige. 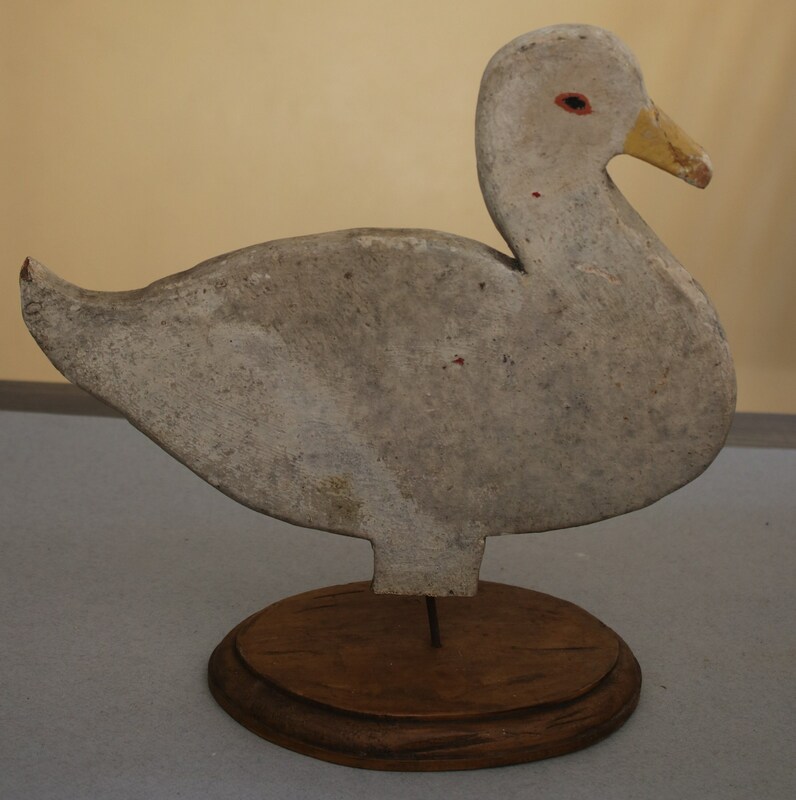 Any shipping overage of $1.00 or more will be promptly refunded upon shipment of your duck.